NBN - So What Is It All About? 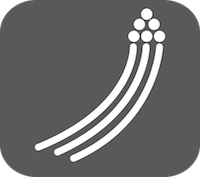 The aim is to enable access to fast, reliable and affordable phone and internet services, from a range of providers. The nbn™ network is designed to enable lifestyle enhancements including health, education, well-being, sustainability and wealth. nbn™ are committed to closing the digital divide by providing access to a minimum level of broadband services to homes and businesses across Australia. Due to the nature and size of our country, they plan to use a mix of technologies to deliver the nbn™ network, using the best fit solution for each area. The NBN fibre service is a broadband internet service which uses the NBN optical fibre access network to deliver internet connectivity at the network Boundary Point at your Premises. The NBN fibre service is only available within an NBN fibre service area, unless your premises is already connected, you will need to be connected to the NBN optical fibre access network. Standard installations are done without charge to you ; non-standard installations may require you to pay charges. You will require an NBN ready router if you wish to connect multiple devices at once to your NBN fibre services. If you don’t already have one, we can sell or rent you a suitable device at an additional cost. NBN Fibre to the premises connection (FTTP) is used in circumstances where a optic fibre line will be run from the nearest available fibre node, to your premises. FTTP also requires and nbn network device to be installed inside your home. 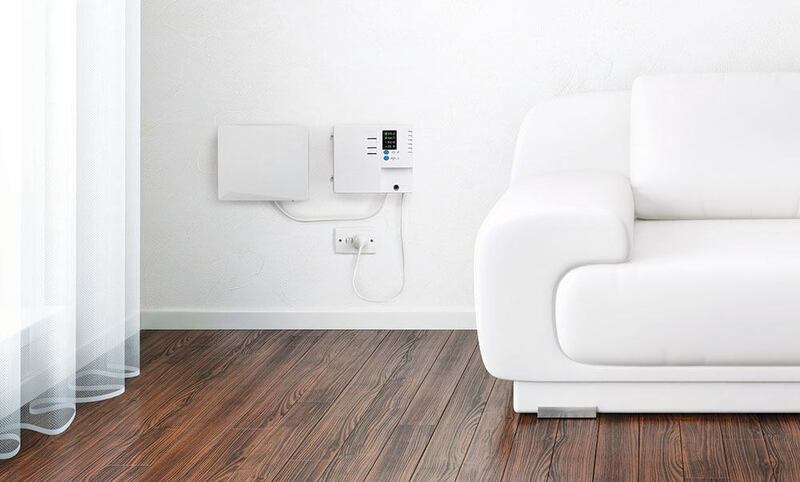 This device requires power to operate and can only be installed by an approved nbn installer or service provider. Without getting too emotional, this powerful new network will change your life and the lives of every other Australian forever. Why Does Australia Need NBN? Australia has already made the jump from dial-up to broadband, but now we are all leaping from broadband to the new age of superfast internet. Over the next decade, they'll be laying down 200,000km of it. That's pretty much five times the circumference of the earth. When they're really hitting their stride, they'll be hooking up 6,000 homes a day. By the time they're done, pretty much every Australian home will have access to super-fast internet. The National Broadband Network is being rolled out across Australia right now. And it creates the potential for exciting advances in our online lives. What you may not know is that it will also deliver your phone service. Things to think about including the best place for your equipment to be installed. What you can expect on the day including how long it takes, costs and what's supplied as part of the installation. Now that the equipment is installed, find out how to connect your internet and voice services. Answers to the most commonly asked questions about preparing for the NBN. If you are having trouble with your service or equipment, contact your telephone or internet service provider. An overview of how to connect your equipment to the NBN and what to think about before the installation day. NBN Co is now connecting new developments to the National Broadband Network within the fibre footprint. This is a major change for the industry and this video outlines what developers will have to do to connect their new developments to the NBN. Congratulations on connecting to the National Broadband Network (NBN) through your chosen service provider. The following videos provide information on how to ensure your NBN connection equipment stays in good working order. It also outlines what to do should your system not work properly, and how to change the battery should you need to. Get an overview of your NBN installed equipment, what's included and information around what your new equipment does. Follow these easy steps to get your NBN connection up and running. Find out who to call, how to plug in your equipment, connections to make and which lights show the system status. Make sure you are aware of these important safety warnings. The NBN connection box is a Network Termination Device (NTD). Find out what your NBN connection box does, what the ports are for and the indicator lights tell you. Also find out how to tell if your NBN connection box is working on backup battery power. Get an overview of the power supply and battery backup unit. Find out what the system status lights on it mean, how the battery backup works, how to activate the emergency power supply and what alarms you might hear. Find out how to replace the backup battery in the power supply and battery backup unit. Take a look at some handy hints about how to look after your NBN equipment. Having trouble with your NBN equipment? Find out what checks you can make before calling your telephone or internet service provider. If your equipment isn't working properly, contact your telephone or internet service provider. The NBN Power Supply with Battery Backup (pictured above, right) comes with a battery when it is first installed into a home or business. Ask your service provider whether it will supply subsequent replacement batteries (and whether there is any charge involved) or whether you should purchase them yourself from a store. They will also be responsible for letting you know when your battery is worn out and needs replacement or when your battery is missing. Refer to the fibre user guide to learn more about the Battery Backup Service. The battery used in the NBN Power Supply with Battery Backup is a standard battery type used in many different systems. You will need to ask your preferred battery retailer for the following (you may wish to print our battery specification sheet) and take it to the store. 12V 7.0 to 7.2 Ah 6 cell SLA battery (F2 terminals). 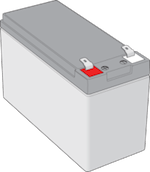 Used Sealed Lead Acid batteries are classified as hazardous waste and must be recycled by a specialist battery recycler (see list here: Where to buy a new battery and recycle your old one). The type of batteries used in the NBN equipment are 100% recyclable when taken to a suitable recycler. Do not dispose of them in your household garbage or recycling. Some battery retailers and local councils (listed here) accept used batteries for recycling. By using recycled materials instead of virgin materials, there is a reduced need to use new minerals. It takes less energy to make a recycled battery. For example, secondary lead bullion requires a quarter of the energy used to make primary lead. In most cases, making products from recycled materials creates less air and water pollution than making products from virgin materials. Consult the NBN Fibre User Guide for information and videos on how to maintain and replace your battery. Many specialist battery retailers stock a compatible battery for the NBN Co Power Supply with Battery Backup. Some local councils also accept worn out batteries for recycling. ​Some battery suppliers may also visit your home and fit the new battery for a small fee. These retailers are denoted in the "in-home battery replacement" column. Their fees vary and are not set by NBN Co, so ask the retailer for more details.